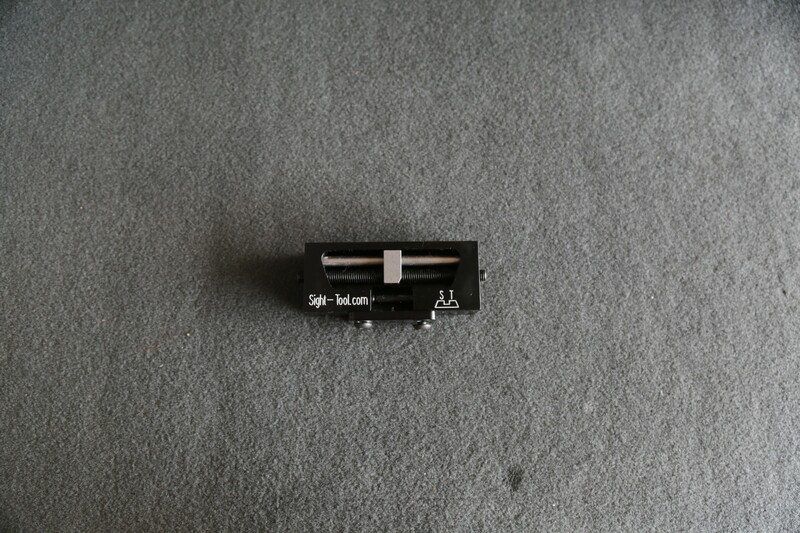 Don’t blow it when replacing pistol sights. Have you ever asked your local Gun store to install pistol sights for you and heard a lot of hammering coming from the back room. Most likely they are installing your new sights with a hammer and brass drift. 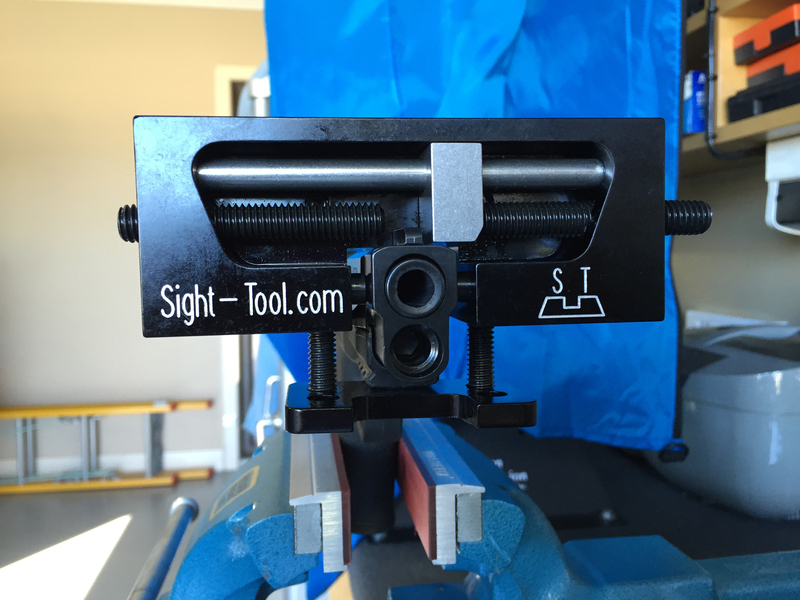 We have a custom tool to adjust and install aftermarket sights without causing damaging or marring the slide.